SN 149633 - New to market! 2006 Sea Ray 60 Sundancer Blue hull! Powered by Twin 1100 Mans diesel inboards, the 60 Sundancer will run 40-42 mph wide open making it one of the faster Sea Rays ever built. Bow and stern thrusters make docking effortless! Updated electronics with twin raymarine hybrid touch screens. Three staterooms with full beam master aft with true walk around bed. Contact listing agent for additional information and showings. 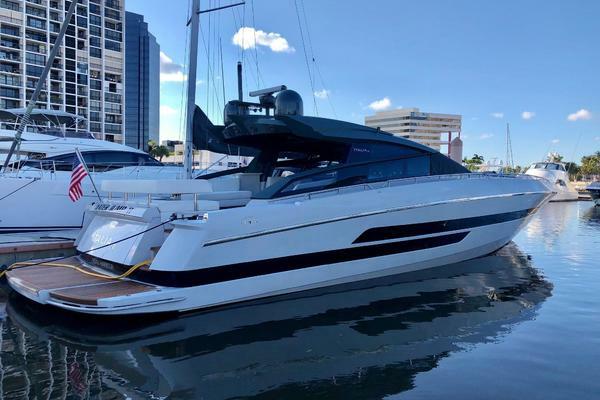 United Yacht Sales New Jersey would love to guide you through a personal showing of this 60' Sea Ray 60 Sundancer 2006. This yacht for sale is located in Port Clinton, Ohio and priced at $655,000. For a showing please contact us by filling out the form on this page and we will get back to you shortly!